Professor Lawrence Wang-chi Wong obtained his B.A. in Translation & Chinese and M. Phil. from University of Hong Kong, and Ph.D. from the School of Oriental and African Studies, University of London. He is currently Professor of Humanities at the Department of Translation, The Chinese University of Hong Kong (CUHK), Director of Research Centre for Translation, Institute of Chinese Studies, and Director of Centre for Hong Kong Cultural Studies, Research Institute for the Humanities. 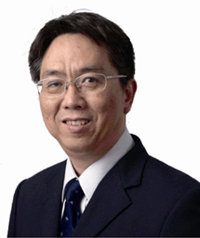 In 2006-2009, he was Professor of Chinese and Translation Studies, the founding Dean of College of Humanities, Arts, and Social Sciences, and the Director of Centre for Liberal Arts and Social Sciences at Nanyang Technological University (NTU), Singapore. At the moment, he is also holding an honorary professorship at the Fudan University, Shanghai and a visiting professorship at the NTU. Prof. Wong’s main research interests are in modern Chinese literature and politics, Translation Studies in the 19-20th century China, and Hong Kong Cultural Studies. He has published as sole author over 10 books and over 100 articles and book chapters.